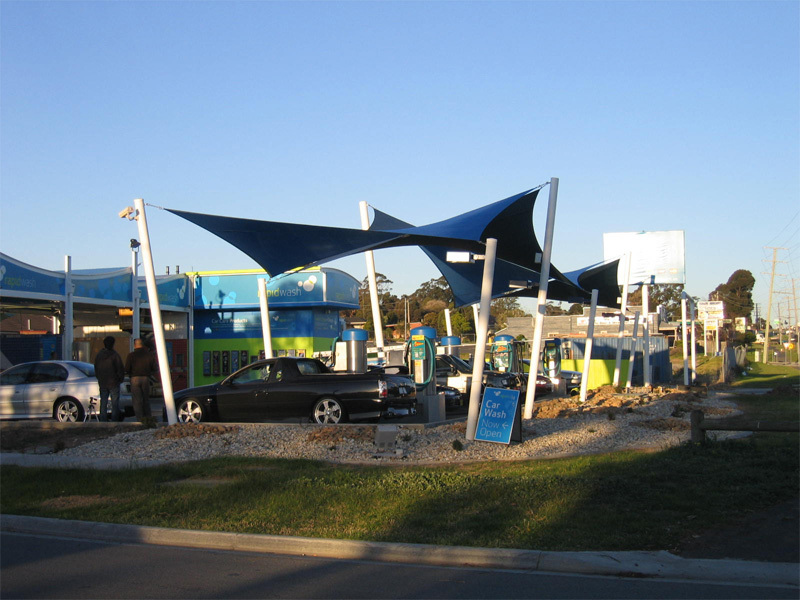 Shady Places offers an extensive range of high quality commercial shade structures that are designed to enhance the functionality, purpose and image of your business. From car parks, restaurants and car washes, to retail shop fronts and just about any other commercial business, Shady Places can advise on the best possible design to suit your business and location. We will even arrange for building permits, if necessary. Available in multiple design configurations and up to 30 different colours, Shady Places’ shade structures, sails and commercial awnings are expertly engineered to ensure longevity and superior performance in Australia’s harsh climate. Each design is accompanied by an Engineering Certificate of Compliance and is fully engineered to Australian Standards. Shady Places has established a solid reputation for providing a professional design, manufacture and installation service, that is customised to address the specific needs of each client and project. Shady Places is a Registered Building Practitioner and its work is fully insured. What is our maintenance program? At Shady Places, we pride ourselves on servicing the shade sail needs of businesses, schools, playgrounds, childcare facilities, and a wide range of commercial industries. We know reliability is everything, so we've worked hard to establish a reputation for providing quality services and products on budget, and on time. Our highly trained and experienced staff are committed to providing the very best shade sails for employees, young charges, and customers from the sun's harsh and damaging UV rays.